I just read this article and thought you might want to give it a read, too. 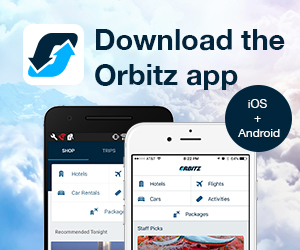 It\'s called We tried yoga with dolphins and here’s what happened and you can find it here https://www.orbitz.com/blog/2017/08/we-tried-yoga-with-dolphins-and-heres-what-happened/. 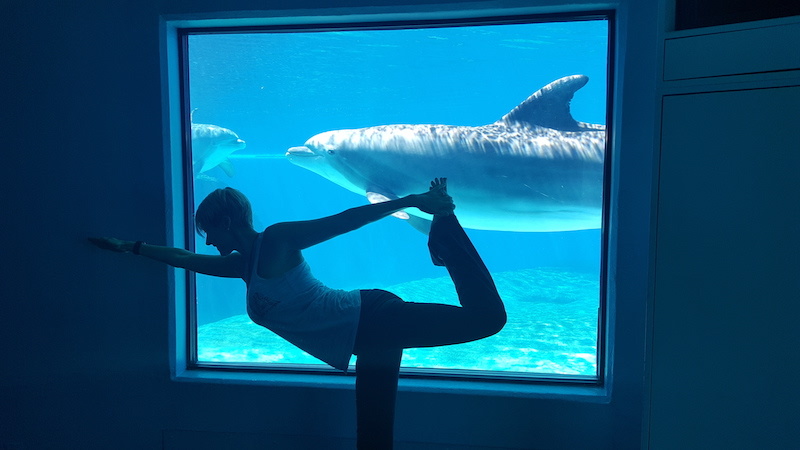 Peace and serenity aren’t states of mind I expect to find in Las Vegas, but the “Yoga Among the Dolphins” experience at The Mirage Hotel and Casino promises an hour of stretching, breathing and pose practice. I am on day two of a girlfriends’ getaway, and this seems like a great way to start the day, despite the early wake-up call. The one-hour class costs $50 per person, and is held in the underwater viewing area of Siegfried & Roy’s Secret Garden and Dolphin Habitat, an attraction at The Mirage that’s also home to white lions, tigers, and leopards. I check in first at the hotel’s spa, and am relieved that I don’t need to bring anything: Mats, towels, and bottled water are provided. The resident bottlenose dolphins, with names like Duchess, K2, Bella and Lightning, are adorably charming, and I want to know more about them. 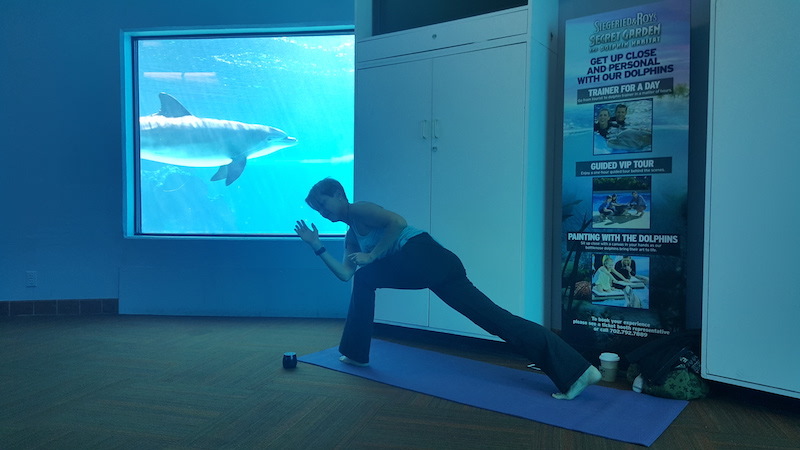 The spa attendant who walks us to the yoga room says there are nine dolphins living in a 2.2-million gallon habitat. They’re all members of the same family, so the males are kept separate from the females to prevent inbreeding. 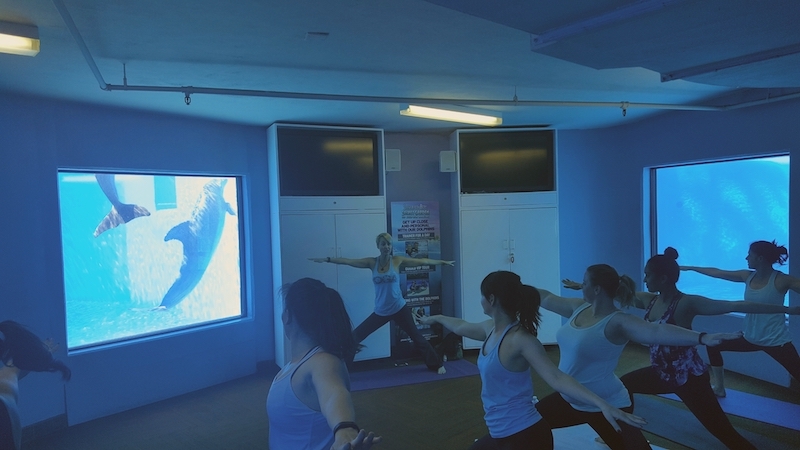 Our class is held in a small room with three large windows positioned under the surface of the dolphin pools. The females swim past the windows on the left; the males on the right. There is barely room on the floor for eight mats, so we have to watch where we extended our arms, but the small class size makes for a chummier atmosphere. Janet, our instructor, guides us through several slow-paced repetitions of Vinyasa poses, which aren’t complicated, but some challenge my sense of balance. Of course, balance takes concentration, which is impossible as I eagerly await the next dolphin glide-by. Janet says they know we’re here, and I smile at their frequent attempts to show off and get attention. 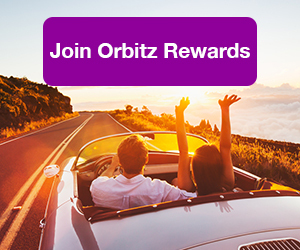 ALSO: Stretch your dollars further by signing up for Orbitz Rewards and earning Orbucks! Dolphins are the perfect animals for yoga practice. With their drowsy eyes and sleepy smiles, they look like they’ve already attained the Zen we humans are there to find. I doubt that “Yoga Among the Sharks” would provide the same level of chill. About halfway through the class, Janet gives us a ten-minute break to take photos in front of the windows. Then she turns off the lights for several slow Yin cool down poses. As a beginner, I feel comfortable and unintimidated by my classmates’ skill level. With her pleasant British accent and calm demeanor, Janet consistently reminds us not to compare ourselves to others. It was a welcome affirmation as I try my best crescent lunge and reverse warrior poses without tipping over. We are hurried out of the room promptly at 10am, when the attraction opens to the public. Back at the spa, we are offered a banana, pineapple and passion fruit smoothie. 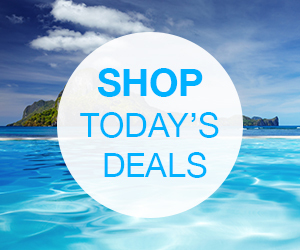 Class participants also get all-day access to the spa’s hot tubs, sauna and steam room. I leave invigorated, not as much by the physical exertion as by the delightful interaction with the friendly creatures. It is well worth getting out of bed at an hour when many Vegas visitors are just turning in. Classes happen at 8am and 9am, Friday through Sunday, and Janet says they’re always full. She sees a fair share of men, a lot of couples, and nearly 90% are yoga beginners. If you want even more dolphin interaction, the Secret Garden & Dolphin Habitat also offers “Trainer for a Day” and “Painting with the Dolphins” programs. If you’re looking for other unique yoga experiences in Las Vegas, try a session on the 550-foot-tall High Roller observation wheel; outdoors at the Neon Museum in July and August; or at the top of the Valley of Fire, accessed solely by helicopter. 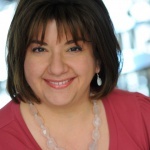 Based in New York's beautiful Hudson Valley, Traci is an award-winning writer, blogger and copywriter specializing in travel and lifestyle topics. Her freelance career was preceded by 15 years in tourism marketing. Traci grew up in the Middle East, and traveled extensively. Now she's nurturing an appreciation for travel within her own two kids. She is a regular contributor to several print and digital publications, and loves doing “research” for her column in Hudson Valley Wine Magazine.